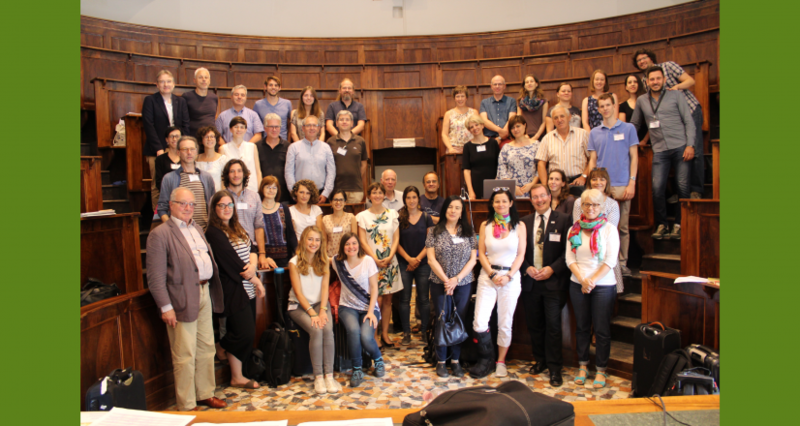 The consortium of H2020 Social Innovations in Marginalized Rural Areas project (SIMRA – http://www.simra-h2020.eu/ ) has met in Padova (June 12 – 14, 2018), Italy to present, share and further develop the results of two years of work. In this project, SEA Department of IFE SAS is responsible for leading the work package 2. An overarching objective of SIMRA is to fill the significant knowledge gap in understanding and enhancing social innovations in agriculture and forestry sectors, as well as in rural development in European and Mediterranean marginalised rural areas, including non-EU countries. During the first day of the meeting, the research team of the SEA Department of IFE SAS presented the results achieved last year within the research carried out in SIMRA project, in particular the definition and classification of social innovations for which the SEA Department bears responsibility. The second day of the meeting took place in Delta de Po (San Basilio, Rovigo), delta of the biggest Italian river named Po – that is considered to be a marginalized and a predominantly agricultural area. During the whole day, case studies selected from database of 166 case studies of social innovations were being presented. The SEA Department contributes to three case studies research that have also been presented at this meeting, in particular Vlkolínec (Slovakia) focusing on the protection of cultural heritage, Hybe (Slovakia) focusing on carbon forestry and Vidoviči (Croatia) focusing on resilience of island community. Social innovations in these case studies support the forest management and rural development predominantly. Results and findings of the SIMRA project will be used as a part of new methodologies submitted to the European Commission, published and recommended for wider use across the EU. Project researchers´ scientific papers – in special issues of the peer reviewed journals focused on social innovations in rural areas – will also become a valuable output of the SIMRA project. More detailed information on the SIMRA project and its outputs can be found at the following link: www.simra-h2020.eu .